Beekeeping the art and craft of looking after the honey bee, Apis mellifera. Honey bees are highly social insects, living in extremely well-organised groups; each member has a specific job to do, and no bee can survive without the colony. Beekeepers provide hives for colonies of bees to live in. A hive will have one queen who lays eggs in the brood chambers. Then there are drones, whose sole purpose in life is to fertilise the queen, and the rest are workers, who make the cells of the combs, clean them, fill them with pollen and honey, feed and tend to the young bee larvae, guard the hive and forage for nectar and pollen. Pre-beekeeping, wild bees made their homes mainly in hollow trees, and early humans would steal their honey when they found it. In nature, bees build comb from the top of the tree cavity, downwards, with a curve at the bottom. They build different-sized cells for different kinds of bees (c. 15% drones), with larger queen cells hanging from the bottom of the comb. Beekeeping began when humans provided homes for the bees, and took some or all of their honey every now and then. The earliest evidence we have of humans keeping bees for honey is in Egypt, at least 4400 years ago. Before the 19th century, bees were often kept in skeps, and the entire colony was often destroyed at the end of each season to take the honey. In a much less environmentally-damaged world, it was much easier to replace colonies from the wild, and the overall health of the bee population was not affected. In the 19th century, hives were invented with removable frames (more below), so that hives could be inspected and honey removed without destroying the colony. Bee numbers haven’t been monitored everywhere, but where they have, it doesn’t look good. See here, here, here, here and here for information / research on what’s happening to bee populations, and here for an overview from Greenpeace. To summarise, the US has lost 30% of commercial honey bee colonies since 2006. In central Europe the figure is 25% since 1985, and in the UK 54% since 1985. Added to this, there has been an almost total die-off of feral colonies in the US and in some parts of Europe. There has been growth in some countries, such as China and Argentina, due to an increase in the number of people keeping bees – but the big losses are in countries with the most industralised agricultural systems and the highest use of pesticides. Meanwhile, corporations are lobbying hard against any attempts to control the use of pesticides. The threat to bees isn’t a trivial matter. They are one of nature’s most important pollinators, and a decline in bees could parallel a decline in agricultural productivity and in the productivity of nature generally. Damage bee populations and we damage ourselves. Take this example from the days before industrialised agriculture. In the Handy Book of Bees, published in 1875, the author evaluated the progress of his colonies by weighing them. In a good year, the total weight of bees, comb and honey from one hive could be up to 130kg at the end of the season. Today, the British Beekeepers Association expect honey yields to be around 14kg per year, down from around 18kg 20 years ago. There is a spectrum of approaches to beekeeping, one end of which could be labelled ‘natural’ (represented by the Natural Beekeeping Trust) and the other end ‘conventional’ (represented by the British Beekeepers Association). Towards the end of the 20th century, when bee decline was recognised, groups of beekeepers began to be critical of practices that forced bees to live differently than they would if left alone. Their position was that artificial practices put the bees under stress at a time when they were faced with a massive increase in the use of pesticides and a similar decrease in numbers of native wild forage plants. These ‘natural’ beekeepers tend to see the whole colony as a ‘super-organism’, and the beekeeper as a facilitator – allowing the colony to manage itself, with as little intervention as possible. Conventional beekeeping involves much more deviation from the bees’ natural life-cycle. Here are some main areas of divergence. ‘Movable frame’ hives were invented by Langstroth in the 19th century and frames are removed from the hive to extract honey. Natural hives are designed for minimum intervention, and with the bees in mind rather than the beekeeper. Langstroth or National hives are ‘conventional’, and examples of natural hives include top bar, skep, Warré, Einraumbeute and the sun hive. Conventional hives contain frames with wax or plastic foundation for bees to build cells. Natural hives don’t provide foundation – just a ‘top bar’ that the bees build their own comb from (downwards). In the wild, bees line their tree hollow with propolis, to inhibit fungal and bacterial growth. Conventional beekeepers don’t like it, because it gums up the hive when they’re trying to look inside it / remove frames etc. ‘Naturals’ are cool with it. Swarm hanging from a branch. Bee colonies can suffer with a range of pests and diseases, the most serious of which is probably the varroa mite. Treatments range from none at all at the natural end of the spectrum, through mild treatments with, for example, essential oils, to prophylactic use of synthetic insecticides / miticides at the conventional end. Natural beekeepers who don’t treat report as good, or better, survival rates than treated bees. Their approach is to allow the bees to build their own defences against diseases and pests, and they believe that allowing bees to live as naturally as possible will reduce stress and make them more resistant to diseases anyway. Some colonies fail, but the ones that survive are very hardy and handle most pests themselves. However, natural beekeepers do call in the bee inspectors for more serious diseases, and will destroy colonies with irrecoverable infections. US beekeeper Michael Bush reports that many state beekeeping clubs in the US have done surveys with mixed results but all in all treating and not treating have had about the same losses. He goes on to explain that a beehive contains not just bees, but an entire ecology of thousands of other organisms, from other insects, mites, micro-organisms, bacteria, yeasts, fungi etc. Some harmless mites supplant harmful ones, some bacteria keep pests down – etc. Treatment with pesticides / antibiotics distrupts the balance of this ecology. Even natural / organic pesticides do this in the hive. Bee health and fertility can’t help but be affected, storing up longer-term and often unforeseen problems. And of course the mites / pests that you’re treating for could build up a resistance to the pesticide, and again, this is storing up even bigger problems for the future. 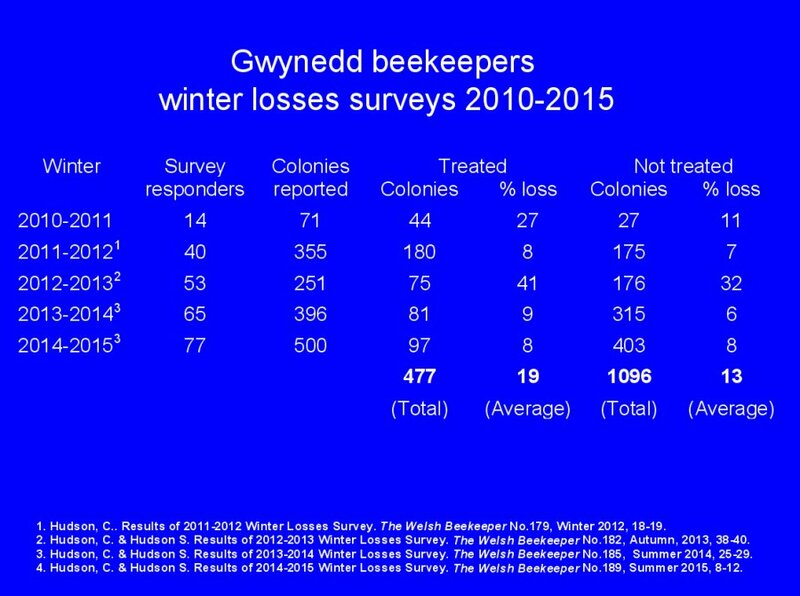 In the UK, David Heaf discovered lower winter losses over four years amongst non-treaters than amongst treaters in Gwynedd, Wales. Gradually, conventional beekeepers there are giving up treatment, as it’s not worth the cost or bother. There’s certainly no chance of building up populations of bees that can survive without treatment until we stop treatment. Nature hasn’t evolved to cope with toxic synthetic chemicals, and we don’t have the wisdom to know what problems we’re storing up for our descendants. Also, Warré hives operate at a temperature a tiny bit higher than varroa like to reproduce at. Natural hives, from the top: skep, decorated Warré, horizontal top bar, sun hive. Bee colonies reproduce themselves naturally by swarming. New queen cells are built, and as the new queen develops, the old queen swarms with a portion of the hive, looking to start a new colony. They won’t go far if they can help it, and a natural beekeeper will capture the swarm and introduce it to a new hive. Conventional beekeepers prevent swarming via weekly inspections, cutting the queen’s wings off and destroying new queen cells. So to produce a new colony, conventional beekeepers will split a hive into two. One hive then has no queen, so the bees turn a worker cell into a queen cell, to turn the worker larva into a queen. This is how conventional queen-breeders produce queens for sale. In nature, queens have a wide range of drones to mate with, but conventional techniques reduce the number of drones, select drones for the qualities required, and sometimes involve artificial insemination. Conventional beekeepers often buy a new queen every year in the belief that workers bred from young queens produce more honey. Because of this selective breeding, and the fact that a small number of large-scale queen breeders provide most of the queens for commercial beekeepers in the US, the gene pool becomes restricted, which may be a factor in colony decline in the US. Conventional beekeepers provide foundation impressed with a pattern so that the bees are forced to build worker cells rather than drone cells, because workers produce honey and drones don’t. Natural beekeepers see this as a mistake – drones play a role in a healthy colony and the bees always try to build around 15% drone cells, and if they do, honey production isn’t reduced. Natural comb in a top bar hive, showing the curved bottom edge. For the person with just a few hives, harvesting honey does not need to be a complex operation requiring expensive kit. The simplest method is to just take comb, rather than buying extraction equipment. Conventional beekeepers tend to feed bees sugar over winter, after harvesting the store of honey that the bees have built up. Natural beekeepers don’t feed, as they let the bees eat their own honey. Only genuine excess is harvested. Honey is what’s good for bees – see here and here. Beekeeping brings together people interested in improving agriculture & local economies, gardening, education, food and cooking, ancient craft skills and science. More people keeping a small colony at the bottom of their garden means more bees. 80% of fruit tree pollination is by bees; we need to look after our pollinators. Bee products can provide local, natural alternatives to many environmentally-damaging synthetic products. Bees can provide the sweetness we crave in the form of honey, without the need for costly and polluting transport and refining. Honey can be used as a sugar substitute in all cooking, including jam-making and brewing (wine or mead). Honey is a healthier option than refined sugar and beekeeping is said to be one of the healthiest professions. Apitherapy is the use of bee products to treat ailments, boost the immune system and promote healthy tissue growth. Honey can also relieve stomach troubles and is a disinfectant in wound cleaning and healing. And of course hot honey and lemon is the sensible thing to take if you have cold symptoms. Apitherapy is just one of the natural ways to reduce our reliance on the pharmaceutical industry. Beeswax has a lot of different uses: candles that burn longer than paraffin versions; rust prevention and lubricant on screws and nails; it can be made into metal or wood polish; and it is a leather conditioner and waterproofer. Bee products can be used when making soaps and skin-care products – they are rich in minerals and vitamins, and have antibiotic properties. Honey and wax products can be obtained locally from small-scale producers, bypassing the corporate system. Varroa mite – not this big in real life, luckily. We’d be foolish to take risks when it comes to bees. Even if bee numbers are recovering, it doesn’t establish the health of the bee population. It may not be in our long-term interest to slowly poison them with toxins, increase resistance in varroa mites, reduce the size of their gene pool with selective breeding, stop them building what size cells they want to, stop them swarming by cutting the queen’s wings off, kill off drones, feed them sugar and take most of their honey. Maybe some of that can be justified – maybe we can make them work for us. We all have to work hard, usually to make more money for someone else than for ourselves. Why not bees? But surely we can agree that we don’t want to risk our main pollinators by using insecticides on them or decreasing the size of their gene pool – especially as there’s mounting evidence showing that treatment doesn’t necessarily produce better results. It’s obvious why reducing the size of the gene pool is crazy, isn’t it? That’s madness on the same scale as washing our growing medium (soil) into the sea – which of course we’re also doing because of exponential growth in the human population and economy. Winter hives full of hibernating bees. But maybe it’s all part of the same package. Maybe beekeepers who would use insecticides on their bees also believe the myth that we need intensive, chemical agriculture to feed the world’s population. In the end though, surely we can talk about how we maximise bee health? And maybe we can agree that honey production purely for commercial reasons is wrong? We think that, ultimately, any activity should be up for discussion if evidence shows that it damages bees. The hope is that new entrants into beekeeping may choose a more bee-friendly approach, and that existing beekeepers may move in that direction to some extent. If you do take the step into beekeeping, you’ll be entering an entrancing world – from the different types of honey, bee behaviour, the part that bees play in ecology, bees in history and the super-organism that is a bee colony, to how you can tell which flowers a bee has visited by the colour of the pollen in the bags on its knees. Beekeeping is too complicated to go into any great detail here, but once you’ve decided where you are on the conventional-natural spectrum, what kind of hive and how many bees you want, get some training, read, get a hive, get your bees, and away you go. Get your bees by putting your name on a swarm list, baiting your hive or buying a nucleus of bees from as local a source as possible. Honeybee with pollen sac on its hind ‘knee’. Bees only need to be tended in spring and summer; from late autumn and throughout the winter they remain in a state of semi-hibernation. Here’s some advice on starting beekeeping, and here’s information on building your own hive. You don’t need to register anywhere to keep bees, and as long as you apply common sense when locating your hive(s), you won’t cause a nuisance to neighbours. We saw above that bees like to build comb from the top. This inclination means that a mesh can be placed at the top of the hive, and ‘supers’ (boxes) can be added to the top, so that bees pass through the mesh to make honey in the comb above. Because the mesh is too small for the queen to pass through, the honey in the ‘super’ can be harvested by the beekeeper, because it contains no eggs or larvae. You can keep bees in urban areas, if you have a small garden, or even a rooftop space to site a hive. The bees will thrive on the abundant flowers in urban gardens and their flight path will be well above human heads. Michael Bush cheekily recommends that you don’t tell neighbours that you’re going to keep bees. Then when they discover that you are a year or two later, they immediately realise that any fears they would have had are unfounded. The occasional jar of honey will smooth things no end too. At honey shows you can see the range of honeys that bees can produce from different plants. If beekeeping really isn’t the thing for you, there is still plenty you can do to support local beekeepers: buy honey locally, as well as other bee products such as candles, furniture polish and other cleaning products, soaps, skin-care products and herbal remedies; you could even learn to make them yourself. There are things you can do to help bees too, for example planting bee-friendly plants, and most importantly, not using pesticides or poisons in your garden. Finally, there’s a new hive around called the flow hive – it has a tap from which you extract honey without opening the hive. It has elicited strong reactions both for and against, for example, here, here and here. Thanks to Gareth John and Heidi Hermann of the Natural Beekeeping Trust for information and photographs.